ComforTek urges all of our customers to ask the tough questions when shopping for church chairs. One particular church recently took their investigative process it a bit further. The “Crazy Church Chair Test” performed by Believer’s Chapel in New York State might be a bit EXTREME, but it certainly generated fantastic results! See which chair the church chose. A little crazy, a whole lot of fun, and an experience which definitely inspired some excitement in the church community for their new chairs! 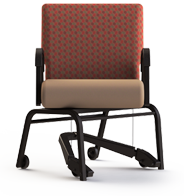 The SS7701-20 HZ armless 20″ wide chair with comfort back was the winner in this church chair challenge. 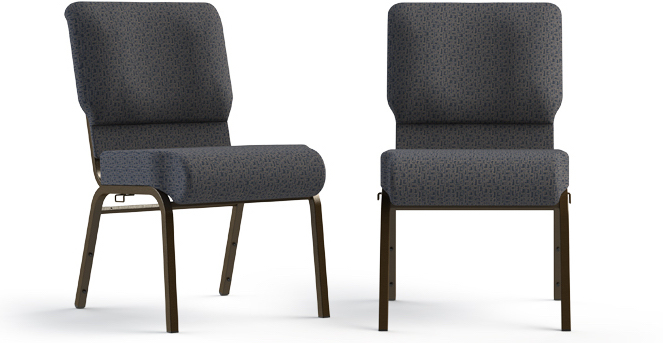 Read More ComforTek Church Chairs Put to the Test! Caregiver safety is becoming more of a concern in assisted living facilities and across the healthcare spectrum. Caregiving for the elderly is a fulfilling career. Many enter into this job field because of their passion for caring for and keeping safe the aging population. This job is not without challenges, however. When the safest and most effective mobility and transportation methods aren’t being used in caregiving for seniors, the risks for the patient and the caregivers greatly increase. One of the more common risk factors to caregivers is the possibility of an injury during transitioning patients from one area to another. Acute care nurses and other healthcare staff are at high risk of injuries, particularly musculoskeletal disorders, due to the intense physical demands of manually lifting and moving patients. Studies have shown that up to 52% of caregivers will suffer from an injury at work, and a great number of those injured will have hurt themselves while transporting a patient from one spot to another.